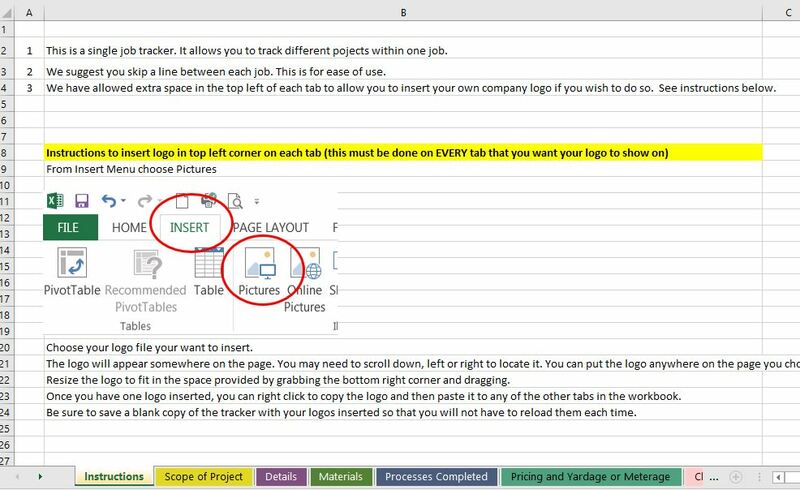 This excel workbook will help track every detail of multiple projects from start to finish. 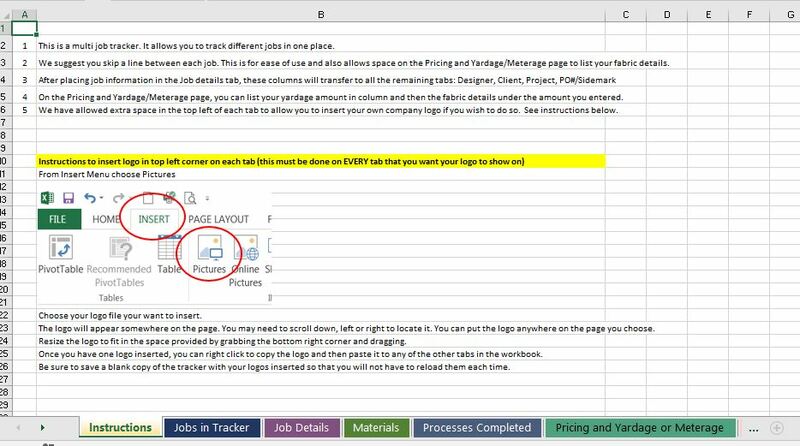 Sections included are Jobs in Tracker, Job Details, Materials, Processes Completed, Pricing & Yardage/Meterage, Change Order & Remakes, and Vendors Used. We have added many new features to our project tracker! Click the link to see how it works.